AWARDS - Servicing Naperville, St. Charles, Hinsdale and surrouding areas. Pool & Spa News is owned by Hanley Wood, LLC, the leading business-to-business media company serving the pool and spa, housing and construction industries. Founded in 1976, Hanley Wood generates more than $160 million in annual revenue and is owned by J.P. Morgan Partners LLC, an affiliate of J.P. Morgan Chase & Co. 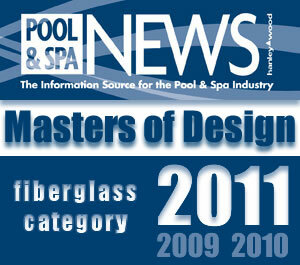 Pool & Spa News magazine is a consistent source of news and information for the pool and spa, housing and construction industries. The Interlocking Concrete Pavement Institute (ICPI), founded in 1993 is the North American trade association representing the interlocking concrete paving industry. ICPI is considered by peer associations around the world as the leader in development and dissemenation of technical information for design professionals and contractors. Unilock has been providing superior concrete landscape products for the landscape industry for over 35 years. 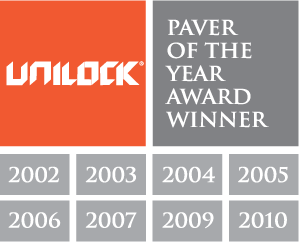 Unilock is the original manufacturer of pre-cast concrete paving stones and wall products in North America, and has continued to lead the charge in innovation and excellence.